"Crime is Common; Logic is Rare"
Inspector Lestrade will solve this Adair case–he has several ideas already. THE SUICIDE OF A HARROGATE LADY.–Yesterday, at the Victoria Hotel, Harrogate, an inquest was held before Mr. Henry Wood, coroner, on view of the body of Gertrude Elizabeth Smith, daughter of Mr. George B. Smith of Rose Lea, Beech Grove, Harrogate, who committed suicide by drowning at Harrogate, as already reported in our columns.–Harry Russell Smith stated he was a land agent, and that the deceased was his youngest sister, and was a spinster. Witness saw her on Sunday morning last and spoke to her about a quarter-past eleven. She went to see an aunt about going away for the good of her health. The lady was not in, and he deceased returned in the direction of her home. Witness saw her pass the garden gate, and rapped at the window. The deceased came to him, and he proposed going for a walk. She said she would make Cold Bath-road as the limit of the walk. The deceased complained of a headache the same morning. At the gate she said she was too tired to talk, and that she would rather go by herself. She did not say that in a complaining tone. The deceased did not return at noon. After tea they became anxious, and decided to make a search, and the police were instructed to assist. 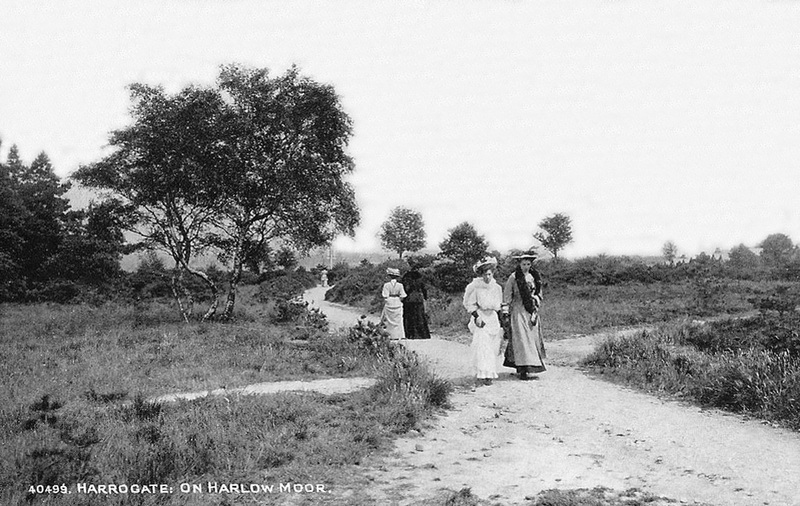 Witness and his sister searched the Harlow Moor, and the first place visited was the wood, as the deceased was fond of rambling in the woods. He heard about one a.m. on Monday morning that the deceased had been found by the police in the reservoir, close to the place where they had been searching. The body was afterwards taken home. The deceased had been found by the police in the reservoir, close to the plane where they had been searching. The body was afterwards taken home. The deceased had been at Newnham College, and since that time had been under a specialist at Brighton for an ailment in her back. She had shown no signs of depression, but was disappointed at not being able to go to London and abroad for her health. When the deceased left him she was not in a state of mind that would lead anyone to think she would commit suicide. P.S. France stated that along with two other constables he searched Harlow Moor and the Harlow reservoir. After that they went down to the filter beds of the Ironbridgegate Road reservoir. By flashing his lamp he caught sight of a hat floating in the reservoir, and further on he saw the face of the deceased. They subsequently got the body out of the water. Deceased was quite dead. Her watch stopped at a quarter to 12. There would be about 18 inches of water where they found the deceased.–Dr. Ward deposed to examining the body. There was a wound on the bridge of the nose an inch long, and a slight abrasion on the cheek. He had no doubt that death was caused from suffocation by drowning. She had complained to him of having a pain in her head whilst she was at Bradford.–The Coroner having summed up, the jury returned a verdict of suicide during temporary insanity. Of course, Miss Smith’s death could very well have been suicide–it probably was. She may have hidden her state of mind from her family. 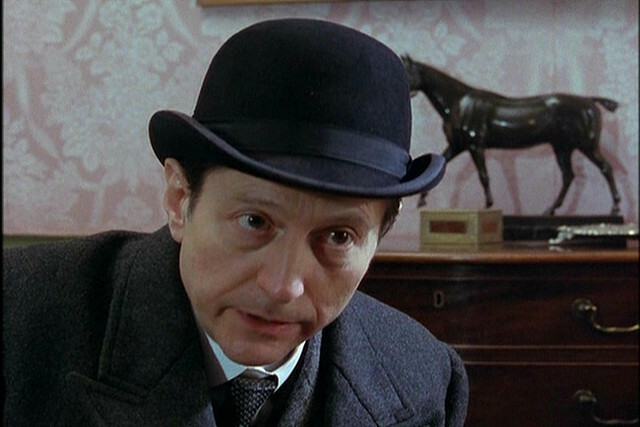 But, if there were doubts–if there were, for example, no note, and the marks on the body, as well as the depth of the water occasioned any suspicion, Sherlock Holmes may have found this an interesting case. Other drowning deaths were much more suspicious…. The body of an elderly man named Morris Samuels, a Jew, living Gravesend, was picked up yesterday morning in the Canal at Hingham. He had been missing since March 27, on which day he was seen to enter a train at London. How he came into the canal is a mystery. A CHESIRE CANAL MYSTERY–Jane Badrock, a Cheshire servant girl, who had been missing since the 18th inst., was found on Sunday night in the Shropshire Union Canal, near Calvely, Cheshire. When the body was taken out it was found that both arms were broken, and the face had been badly scratched, while there were other marks of violence. The last time the girl was seen she was with her lover, whom she afterwards left to go home, the way to which was a lonely walk of about a mile and a half by the canal side. The police had examined the path, but failed to find any trace of a struggle. It is suggested by some that the girl has been a victim of violence, but others believe that it is a case of suicide, and that the bones were broken by barges. Badrock was to have been married next Christmas. ENVELOPED IN MYSTERY.–Mr. G. P. Wyatt, coroner for East Surrey, received information yesterday morning of the death of Henry Stone, aged 27, proprietor of the Beaufort Arms, Commercial-road, Peckham, whose body was floating in the Grand Surrey Canal, near the Globe Bridge. Deceased had only just take possession of the tavern, and up to the present time his death is enveloped in mystery. An inquest will be held. THE DERBYSHIRE MYSTERY:–The Press Association’s Matlock Bath correspondent telegraphs this morning that the young man who was found drowned near there with his hands and feet tied, has been identified as John Taylor, of 19, Varley-street, Manchester. It is supposed now that it is a case of suicide, and that Taylor after tying his feet together, managed to tie his hands together with the aid of his teeth, before jumping into the water. You can’t seriously believe that. THE BLACKHEATH MYSTERY:–An inquest will be held in the course of a few days upon the human remains found some weeks ago buried under a laundry at Dartmouth-hill House, Blackheath, and believed to be those of Eliza Smith, or Flabbell, who disappeared under mysterious circumstances on Christmas-eve, 1870. The bones have been examined and pronounced to be those of a female. The doctor will be able, at the inquest, to state approximately the time that has elapsed since death. The skull is missing, and it is surmised that if the woman met her death by foul means, the murderer burnt the head in a large furnace used for the purpose of heating the conservatory. It is not now considered probably that the husband of the missing woman will be traced, as he has been lost sight of for 17 years. The dead woman was found with beads which Eliza Smith’s daughter claimed had belonged to her mother, and during the inquest a Mrs. Tomlinson denied having received a letter from the deceased saying that she had gone off to Brighton. Another witness, Jane Spooner, testified that when she had accused Smith’s husband, Frederick, of murdering his wife, “he replied that they could look as much as they liked, but they would never find her.” A man believed to be Mr. Smith, a gardner at Anerley, was present at the inquest, but there was some disagreement as to whether he had been the victim’s husband, or was truly the “John Smith” he claimed to be. In the end, the London Morning Post reported that the jury’s verdict was that “the evidence failed to show who the deceased was, how she came by her death, and where the death occurred.”*** Sherlock Holmes would have sorted everything out in short order. 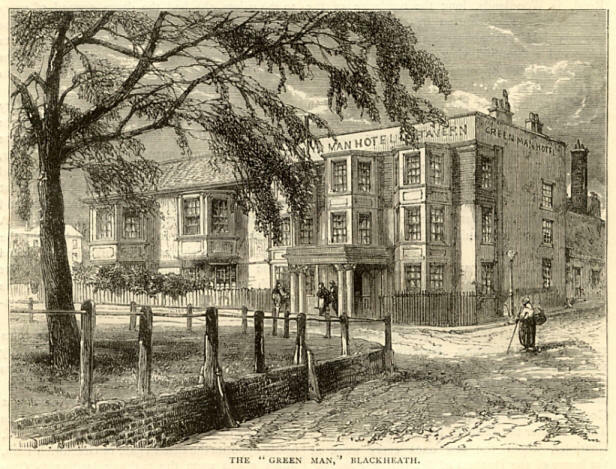 The Green Man, where the Blackheath inquest was held. MYSTERIOUS DISCOVERY:–The body of a girl was discovered on Saturday in a labourer’s cottage about two miles from Bandon, It was buried under the floor, and must have been there for a considerable time, as it was much decomposed. An inquest was held, but the evidence given threw no light on the affair. The house had been unoccupied for some time. The police are investigating the affair. SINGULAR DISCOVERY AT DARWEN:–Yesterday afternoon very considerable sensation was caused by a discovery which was made at a colliery recently opened by Messrs. Place at Eccleshill near Darwen. A man named John Holden was looking down the “L” hole, in which the pumping shaft works when he observed a man’s body, 18 ft. from the surface. The man was standing on his head in a hole, and when brought to the top was found to be quite dead. His jaw was broken and his head very much swollen. The body was apparently that of a man of about 30 years of age of the labouring class. The deceased is entirely unknown in the neighbourhood. 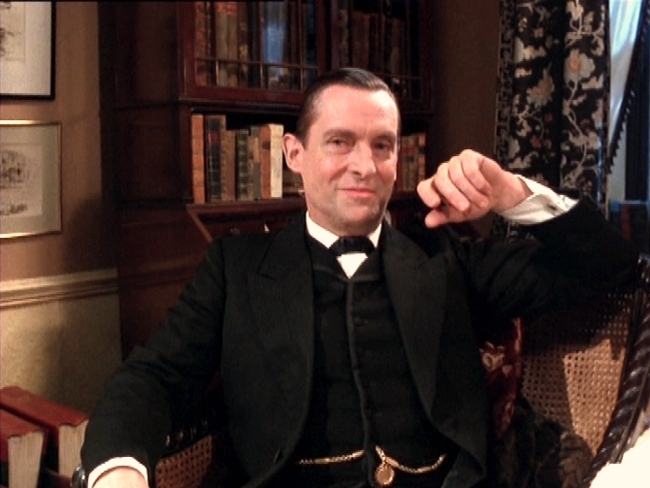 When he pointed out those “three unsolved murders in one year,” therefore, Holmes was obviously just being kind to his old friend Lestrade. One has to wonder if he didn’t spend quite a few hours over the next year quietly putting cold cases like these to rights. 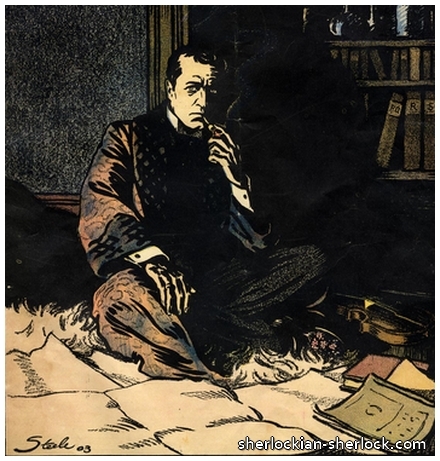 Thank goodness for Sherlock Holmes. If he didn’t exist, someone would have to invent him. *William S. Baring-Gould hypothesized that the detective Nero Wolfe was the son of Sherlock Holmes and Irene Adler Norton, conceived in Montenegro during the Hiatus. **Contrary to what Watson writes in “The Adventure of Wisteria Lodge,” Sherlock Holmes was not at Baker Street during this year. ***Morning Post, Wednesday, 13 April, 1892, p. 8. This article also gives the interesting detail that the body had been cut into eleven pieces, by someone who was not very skilled in such things.